It's not a trial, nor is it quite a debate, but what's happening Wednesday in Judge William Alsup's federal courtroom is an unusual and possibly unprecedented proceeding. That's because Alsup has ordered a four-hour tutorial on climate change – what scientists know about global warming, and when they knew it. And it's because of who's responsible for the tutorial: Bay Area cities on one side, and oil companies on the other. The cities sued the oil companies over the impacts of sea level rise, and the tutorial is a key early step in the case, one of dozens of similar cases across the country. 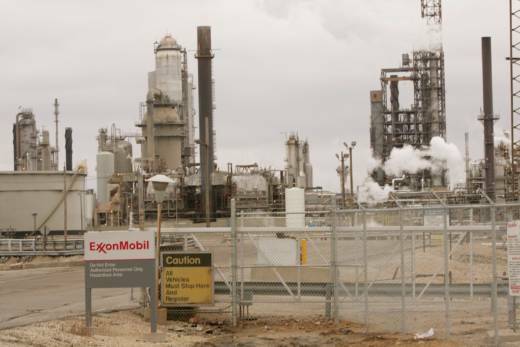 Lawyers for San Francisco and Oakland claim BP, Exxon, Chevron and others created a public nuisance to the Bay Area by producing and selling oil and gas while misleading the public about known consequences. The two Bay Area cases represent one strategy among several in a growing body of law relying on tort and common-law claims to hold fossil fuel producers responsible for global warming. Complicating these arguments are the other human activities that also contribute to global warming – and the fact that fossil fuel burning is global, which means companies and countries in the oil and gas industry outside of California are responsible. Proctor says the cases resemble efforts to hold major tobacco producers responsible for smoking-related lung cancer. Alsup has issued a list of questions he wants answered in the presentations. They include the cause of the ice ages, the origins of carbon dioxide in the atmosphere, and even whether billions of peoples' breathing is warming up the planet. “These questions are great questions, they’re interesting questions, but they’re not the questions that you would want to say, 'What’s the state of knowledge? '” says Katherine Mach, a Stanford researcher whose work focuses on assessing climate science. Mach and other scientists characterized the questions as simple, and straightforward. They're also pretty easy to answer for scientists. “Turns out answers to those questions are actually pretty well known,” wrote Andrew Dressler, a climate scientist at Texas A&M. Dressler has sketched out his responses on Twitter. At the website Real Climate, scientists are compiling and updating crowdsourced responses. The semi-adversarial nature of the tutorial has reminded some observers of an idea circulated last year, by NYU professor Steven Koonin and then by Environmental Protection Agency Administrator Scott Pruitt, that climate science should be the subject of an intellectual “red team-blue team” exercise, that name taken from military simulations in which one side attacks another. But Wednesday's briefing is fundamentally different, for at least a few reasons: the judge has wide latitude in using the information presented there, and these days, it's more likely that the science presented by cities and oil companies will overlap or even agree. Fossil fuel companies now characterize themselves as active but risk-adverse participants in the global discussion about climate science - and these companies have acknowledged risks posed by climate change in public statements. But each side has its own time to present the best climate science, and its own version of history. Experts say that format means key differences may emerge in questions around certainty, both past and present. Cities, for their part, are likely to emphasize growing certainty in climate research.